< Gong was charged following a months-long investigation into his affairs. A Chinese-Canadian businessman was charged Thursday in connection with an alleged fraud and money-laundering case involving hundreds of millions of dollars and thousands of investors in China. Edward Gong, who lives in Toronto’s North York neighbourhood and has established himself as a hotel, television, and health supplements mogul was charged Thursday following a months-long investigation into his affairs, led by the Joint Serious Offences Team of the Ontario Securities Commission. 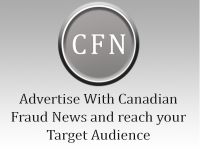 Gong, who also goes by the name Xiao Hua Gong, faces four charges under the Criminal Code of Canada: fraud over $5,000, possession of property obtained by crime, laundering proceeds of crime, and uttering a forged document. He is accused of using two of his companies, O24 Pharma PLC and Canada National TV Inc., to fraudulently sell securities to Chinese citizens between January of 2012 and Dec. 20 of this year. A disclosure document issued on otcmarkets.com in May by a company called 024 Pharma Inc., which lists Xiao Hua Gong as president, says its business is vitamin and mineral manufacturing and retail. OSC staff, RCMP, and Toronto police executed search warrants on premises in North York on Thursday, including Gong’s residence and his “alleged place of business,” according to a statement issued by the OSC. They are now seeking his arrest. Gong came to Canada in 2002 from China, where he was an opera director, according to a 2016 story in the publication China Daily. He established himself as a prominent businessman in the Toronto area and was photographed last year alongside Prime Minister Justin Trudeau at a fundraiser. Gong has donated to the Liberal Party of Canada, party communications advisor Elyse Surette-DiMuzio said Thursday. Read the full story over at the Financial Times.